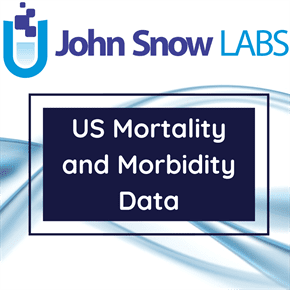 This dataset contains estimates of age-adjusted mortality rates, by the major causes of death, shared by the Big Cities Health Coalition members represented by the largest metropolitan health departments in the United States. The estimated values of age-adjusted mortality cover the 2010-2015 period and are described by gender and race/ethnicity. In most cases, the 2000 standard population age was used. The ratio used as a denominator is the population from a location, year, of specified gender and race/ethnicity and is multiplied by 100,000. Mortality rates for lung and female breast cancers, as well as all types of cancer (combined) are reported per 100,000 people, using 2010 U.S. Census figures, age-adjusted to the year 2000 standard population (except where noted). ICD-10 codes for all cancer include: C00-C07; for lung cancer: C33-C34; and for female breast cancer: C50. Heart disease and diabetes mortality rates are also per 100,000 people, using 2010 Census figures, and are age-adjusted to the year 2000 standard population. ICD-10 codes: I00-I09, I11, I13, and I20-I51 for heart disease, and E10-E14 for diabetes. The HIV-Related Mortality Rate is also reported per 100,000 people, using 2010 U.S. Census figures, age-adjusted to the year 2000 standard population. In most cases, these data are identified using ICD-10 codes B20-B24. Pneumonia and Influenza Mortality Rate is reported per 100,000 people, using 2010 U.S. Census figures, age adjusted to the year 2000 standard population (except where noted). Homicide, suicide, and firearm-related mortality rates are per 100,000 people, using 2010 Census figures, age-adjusted to the year 2000 standard population. ICD-10 codes are: X85-Y09, Y87.1 for homicide; X60-X84 and Y87 for suicide; and W32-W34, X72-X74, X93-X95, Y22-Y24, and Y35 for firearm-related mortality (except where noted). Motor vehicle mortality rate is per 100,000 people using 2010 Census figures, age-adjusted to the year 2000 standard population. ICD-10 Codes: V02-V04, V09.0-V09.2, V12-V14, V19.0-V19.2, V19.4-V19.6, V20-V79, V80.3-V80.5, V81.0-V81.1, V82.0-V82.1, V83-V86, V87.0-V87.8, V88.0-V88.8, V89, and V89.2 (except where noted). The Opioid-Related Unintentional Overdose Mortality Rate are per 100,000 people, using 2010 U.S. Census figures, age-adjusted to the year 2000 standard population (except where noted). ICD-10 codes include: X40-X44; AND one or more of the following in any multiple causes of death field: T40.2, T40.3, T40.4. NOTE: This indicator is not exclusive of other drugs that may be included in multiple cause of death fields, such as heroin (T40.1), cocaine (T40.5), benzodiazepines (T42.4), psychostimulants with abuse potential (T43.6), other and unspecified narcotics (T40.6), or drugs not elsewhere classified (T50.9). Morphine and heroin are metabolized similarly. This may result in the over-reporting of drug poisonings associated with the effects of opioid analgesics. All-cause mortality (overall death) rates and life expectancy were also requested from jurisdictions. Where data were not available, the space was left blank. Dataset contains the BCHC requested methodology for every indicator, along with sources of data used by the BCHC member and notes about the methods and data. In order to ease the comparison of the underlying the causes of death for which the estimated values of age-adjusted mortality rates were determined, with the causes of deaths used or included in the requested methodology, these are accompanied by the list of all ICD-10 corresponding codes.